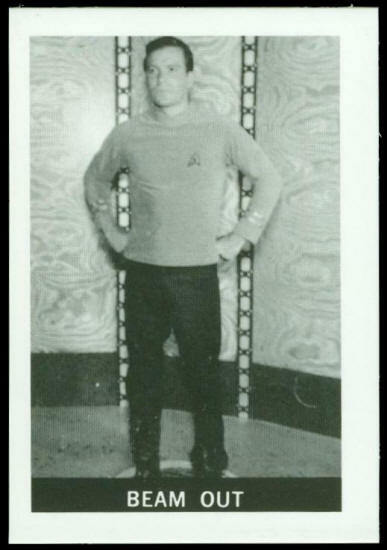 Captain Kirk stands in the Transporter Room ready to beam down to an Earth Colony. It should be a routine mission but Kirk never materializes on the planet. Colonists report Kirk must have reversed his entry through their ion screen, thus neutralizing himself. 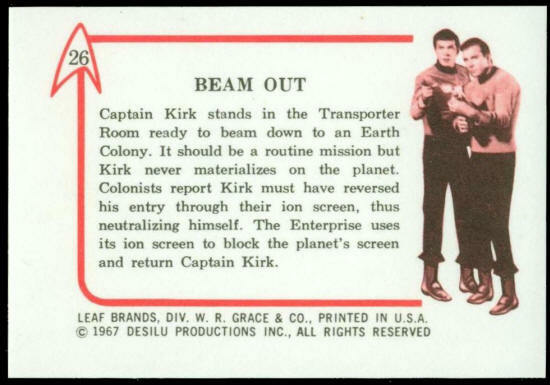 The Enterprise uses its own ion screen to block the planet’s screen and return Captain Kirk.